At CloudFirst, we deliver cloud solutions that help small and medium sized enterprises improve business processes, increase productivity and exceed their competition. Our proprietary Cloud Roadmap 360™ service provides you with the insight needed to deliver the right strategy for your organization. 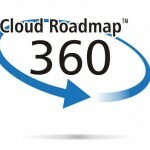 The Cloud Roadmap 360™ Service is more than just a simple technology plan, it is a comprehensive assessment and view of your current IT environment and provides insight to prepare your organization for future technologies. The goal of CloudFirst's professional services team is to implement technologies that are aligned with your organization's unique business goals and objectives. The true measure of success for any new technology is the positive results it brings for the business. Keep Your organization focused on what it does best. Our managed services provide many benefits. They are designed to free you from the time-consuming and resource intensive day to day chores of monitoring and managing your cloud infrastructure. With our advanced monitoring tools, global multi-lingual support staff, and 24x7 technical support, CloudFirst allows you to focus your resources on your core business. "CloudFirst helped our organization to stream line our business processes using Office 365 and electronic forms, I am able to manage my business from anywhere." "The team at CloudFirst took the time to understand our needs and recommended a perfect solution tailored specifically to want we wanted." "By utilizing the cloud services of CloudFirst we have increased effectiveness and reduced costs, and I would recommend all small businesses to look for a cloud solution that can offer them that kind of transformation"
© 2015 Cloud First Technology Solution, Inc. All rights reserved.